Farm Girl Pink....: ~ Vintage Halloween... Horses! 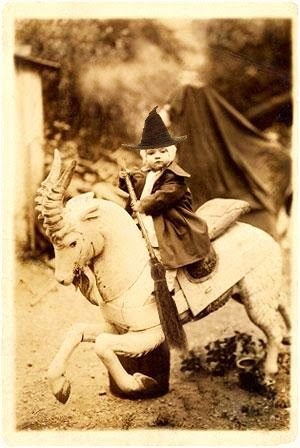 How incredible is this child on her horned horse? I love everything about this Halloween costume. Baby Girl is on it! She is not afraid and looks like she has some business to take care of with that broom. 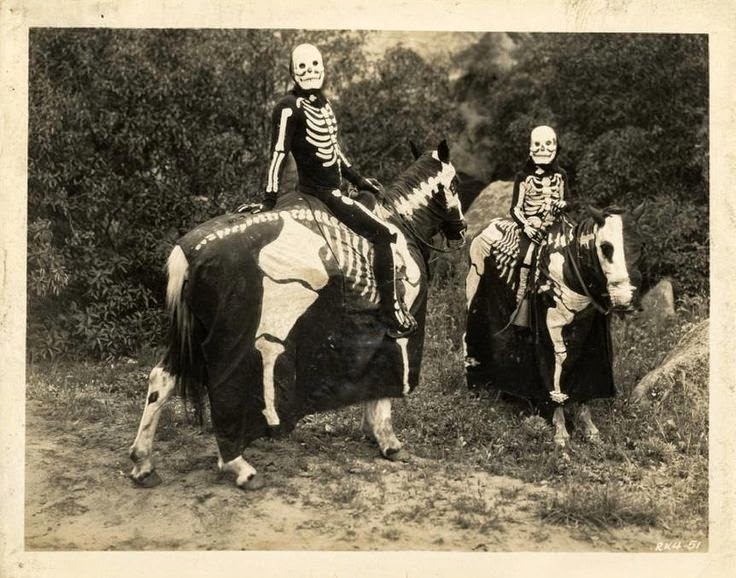 I have friends who did something similar with their horses, a couple years ago for Halloween. But they painted the skeleton directly on the horses. And the paint washed off the next day. I am positive none of the horses now, would have taken to have a sheet draped on them for any amount of time.